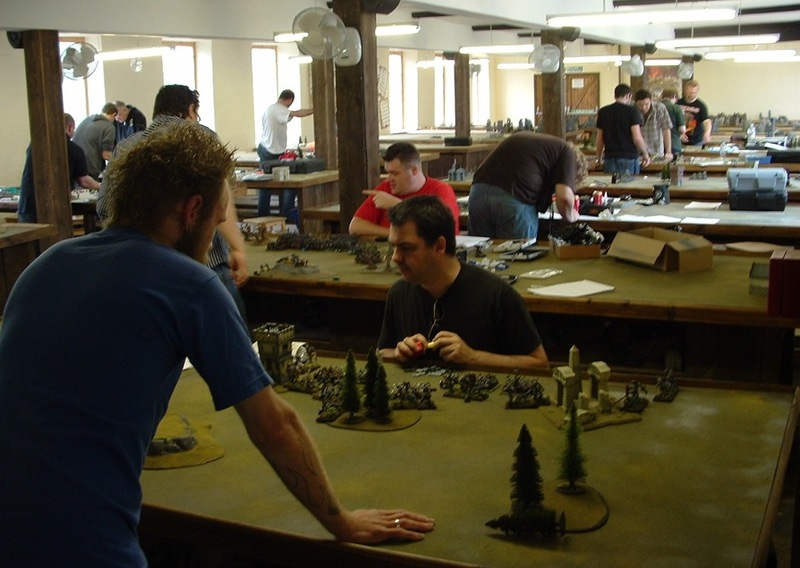 Being a tournament there were a bunch of somewhat “competitive” armies there, and during the Q&As a couple of things were decreed by consensus to be a bit good for their points. Masters of Death (Assassins) were leader of the pack here. No pictures of these dealers of death as they’re too slippery. The first game of the day was a warm-up and didn’t count. 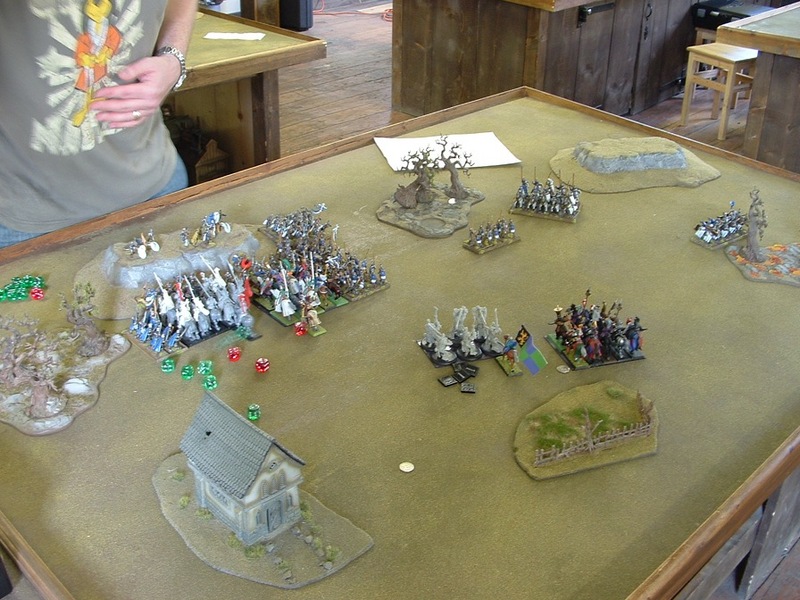 I fought against a large undead army with a mixed force that included something of everything.This is early on where most stuff is still on the table. The things got a bit messy. 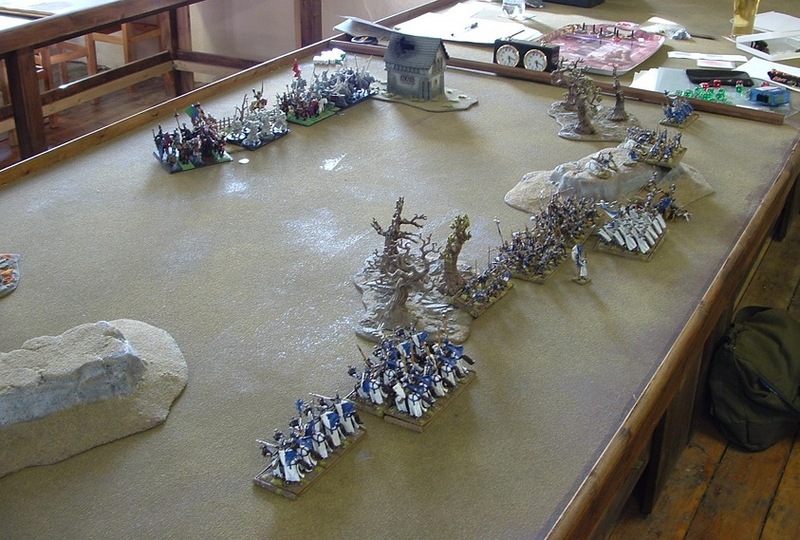 The models beyond the last lot of trees at the top aren’t reinforcements – they’re casualties. 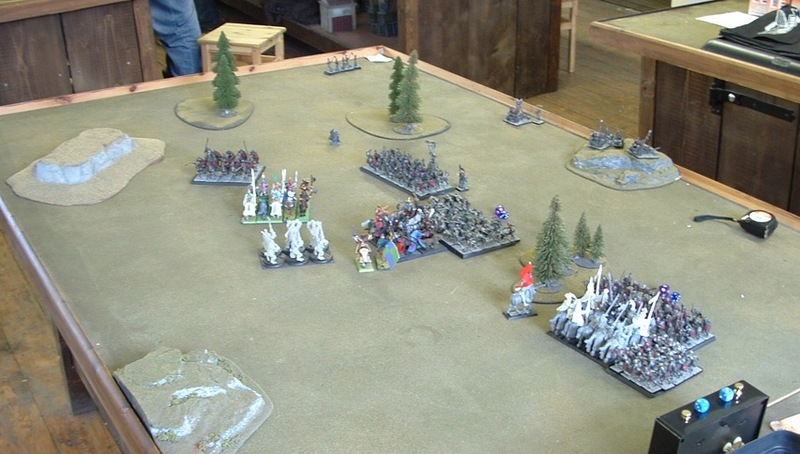 My undead are fine, but the enemy’s are thinning out. 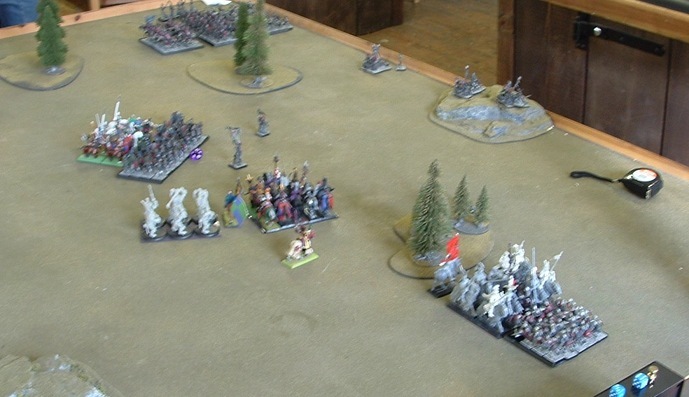 The second game had a similarly large enemy horde, but this time they were greenskins instead. By this point in the game I’ve piled over the table and am in among the mass of orcs. This was a Pillage scenario (the first one was Kill). 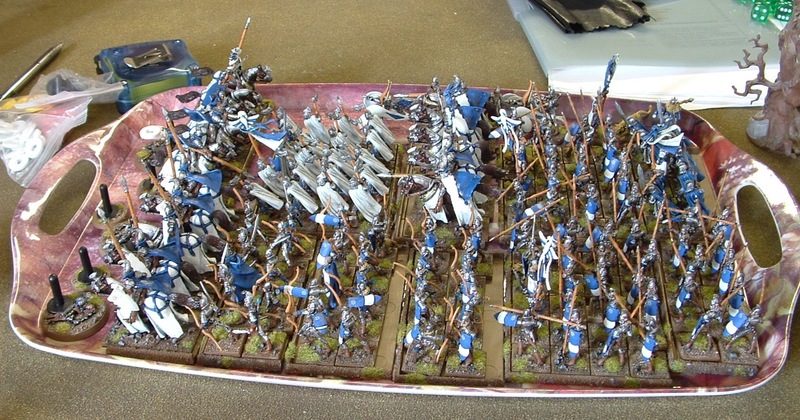 And because it’s so pretty, here is the Elf line from the other side. 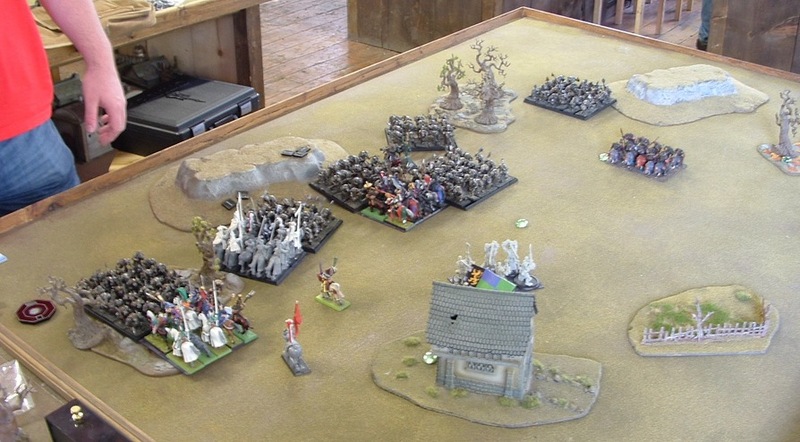 This is the height of the main ruck, with one of my units charged by two Elf units, and another fighting three at once. The unfortunates in the centre are now getting the unwelcome attention of the Elf shootiness.